In 2009, Peter Bregman wrote an article for the Harvard Business Review called Two Lists You Should Look at Every Morning. Even though he wrote the article 7 years ago, the content rings true. In Bregman’s article, he encourages readers to create two lists: Your Focus List and Your Ignore List. Through a series of questions, Bregman helps you define “your road ahead”: what makes you happy, what you’re trying to achieve, and what’s important to you, as well as to define “your distractions”: what you’re not willing to do, what’s not important, and what gets in the way of focusing on where you want to go. Bregman suggests that you write down your two lists and then take time to read them before you start your day. I’m a big believer in early morning routines that allow time to read, write, and reflect. For me this usually happens before anyone else in my house steps out of bed. It’s a sacrifice to get up early, but I know that my morning routine has been an integral part of my focus and determination as a nutrition writer, cookbook author, cookbook editor, and parent. The coffee pot that brews coffee at a time I specify doesn’t hurt either. 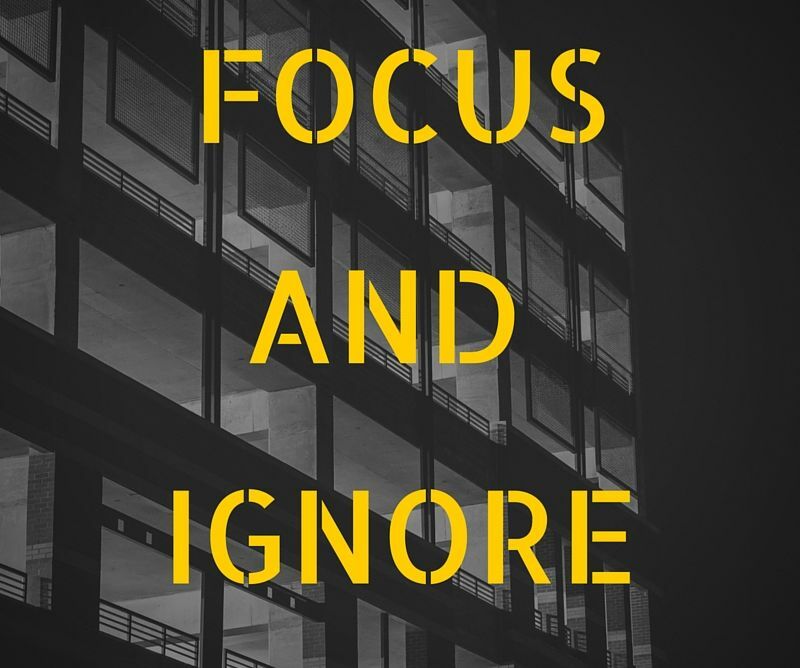 This week I encourage you to write down your Focus and Ignore lists. See if your actions lead you down the right path and shape your day with intentional action. See if the lists help you avoid distractions that take you away from the work you need to do. And, before you know it, your intentional actions will help your goals and dreams come to life. And more about Peter Bregman here.